Syracuse, NY, December 11, 2018 - New York Sea Grant is taking registrations for the free, all-in-one-day Young Boater certification training to be offered on Saturday, February 16, 2019, from 9 am to 5 pm in Syracuse, NY, at the Central New York Boat Show at the New York State Fairgrounds. Anyone born after May 1, 1996, must pass an approved boater safety course to legally operate a motorboat or personal watercraft on NY waters. The February 16th class is for ages 10 to 17 and includes the 8-hour training program and a same-day proctored exam. Pre-registration is required for the course taught by U.S. Coast Guard Auxiliary Flotilla 21 personnel. New York Sea Grant is taking registrations by phone at 315-312-3042. 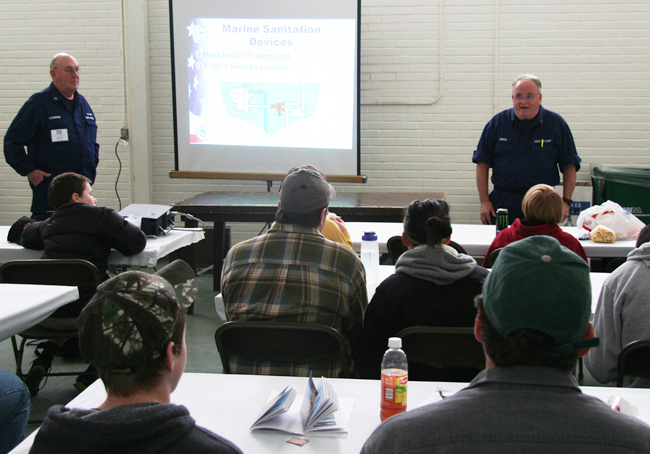 Registration is now open for the February 16, 2019 Young Boater Safety Certification class taught by the US Coast Guard Auxiliary at the 2019 CNY Boat Show. Credit: NY Sea Grant. Each youth registering for the Young Boater course will receive 3 free admission passes to the 2019 Central New York Boat Show, the State’s largest and oldest boat show, with more than 500 boats of all styles; water recreation equipment; marine accessories; boating and fishing guides; yacht clubs; and exhibits by waterfront destinations and local, state and federal law enforcement agencies. Visitors to the Boating Information Center at the show will see the 2019 edition of the award-winning New York Sea Grant Discover Clean and Safe Boating campaign vessel with information on approved life jackets, boating safety, and voluntary watercraft inspection to help slow the spread of aquatic invasive species. 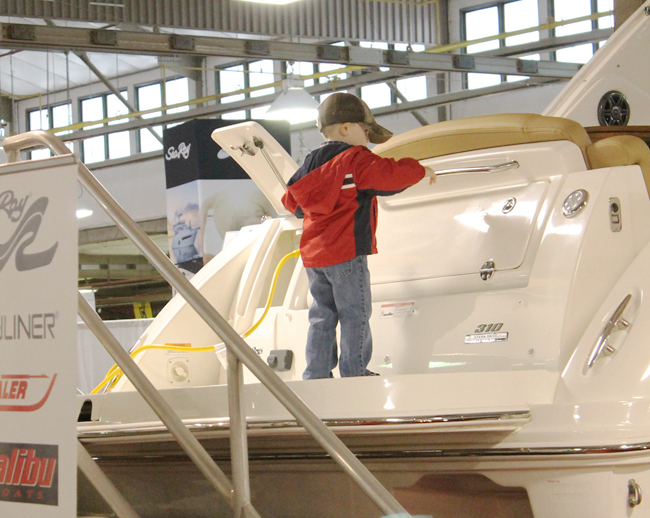 The 2019 Central New York Boat Show hours are 1-9 pm on Thursday, February 14th, 1-9 pm on Friday, February 15th, 10 am-9 pm on Saturday, February 16th, and 10 am-5 pm on Sunday, February 17th. Show admission is $10 per person, 13 and younger free. Free parking and shuttle are provided. Learn more at www.cnyboatshow.com. To learn more about New York Sea Grant, a National Oceanic and Atmospheric Administration cooperative program of Cornell University and the State University of New York, visit www.nyseagrant.org. To learn more about U.S. Coast Guard Auxiliary Flotilla 21, visit the Auxiliary's Facebook page.